3.9 out of 5 based on 10 bloggers and 1 commenters. 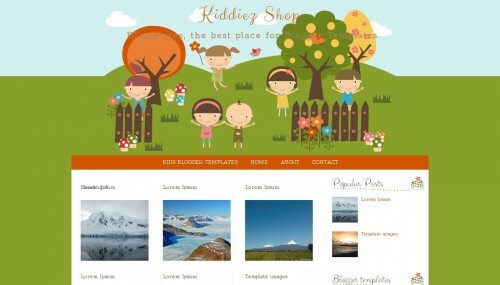 Kiddiez Shop is a free blogger template with 2 columns, right sidebar, gallery-styled, fresh look, an exclusive design for Blogger, posts thumbnails, girly looking, floral motifs and vectorial elements. Excellent template for blogs about education, family, kids, nature or an online store.